Purple Money – Finance and loan guide. 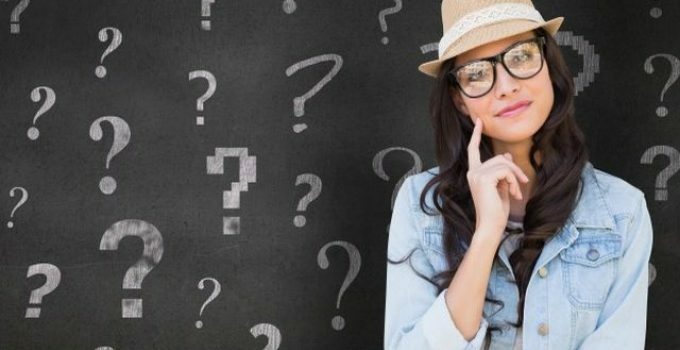 Will I Feel Overwhelmed if I get a Loan? When you are considering getting a loan there are a lot of questions that you need to ask yourself. Among others, thinking about whether you will get overwhelmed is really important. There are several things that could make you feel stressed when you have a loan. You could feel that just having a debt hanging over you is enough to make you feel stressed. You may feel that the repayments get too much or that if there are financial problems in the future you may not be able to pay anything back at all. The stress of owing money is very real. Unfortunately there are some situations where it would be extremely difficult to achieve something unless you borrowed. Examples of this are home ownership, where most people will get a mortgage to pay for it and university education where most will get a student loan or career development loan. Without borrowing money the person may be held back in their life. However, it is very hard to change how you feel. If you have been in trouble with debts before or have just always felt that owing money was a bad thing, it can be something which you cannot forget. It is a good idea to find out more about the advantages of ‘good debt’ like these and see whether you can justify it to yourself and therefore take out a loan without feeling so stressed about it. When you take out a loan it is really important to make sure that you are aware of what the repayments are going to be. You need to consider whether you think that you will be able to manage to pay them. Think about your normal month and how much money comes in and goes out and whether there will be enough left over to cover the repayments. You may need to look at past bank statements to see. If there is not enough then you need to consider what you can do to reduce how much you are paying out or how much you are earning so that there is. Think about whether this is something that you will be able to do for the whole term of the loan. You also need to think about what might happen if your situation changes. This could mean that you have higher expenses, perhaps due to higher interest rates, rising prices, extending the family or things like this. You may also find that your income could change, perhaps if you lose your job, can no longer work full time, have a pay cut or something like that. These situations could happen to anyone and it is not surprising that someone could get extremely overwhelmed if they were in that situation. There are ways that you can protect against it though. You can take out insurance that will cover the cost of the repayments in this situation, although this can be expensive and it may not pay out every time, so you will need to be careful. You could save up money so that you have an emergency fund in case of this situation. You could take out a flexible loan where you can miss repayments or repay less if you get into financial difficulties. For some people, it can be difficult to know whether they will get overwhelmed until they are actually in the situation. If this is you, then it could be wise to have some plans in place to prepare. Make sure that you know how you will cope should you start to struggle financially and make sure that you will have enough money available to be able to cover the monthly repayments. It would be wise to make sure you have a bit extra too, in case interest rates go up during the term of the loan, unless it is a fixed rate, your rates are likely to go up if the Bank of England base rate goes up. So there are things that you can do which should help you to feel less overwhelmed by a loan. It is wise though, to make sure that it really is necessary for you to take out a loan in the first place. If you feel that the items you are buying with the money are not necessary and that you could struggle to repay or that having a loan will stress you, then it could be better to just forget the idea altogether. Payday loans are something that most people have now heard of. They are a short term loan, where you borrow a few hundred pounds until you next get paid. They are a way to give you some extra money before you get paid, to cover emergencies like unexpected bills. 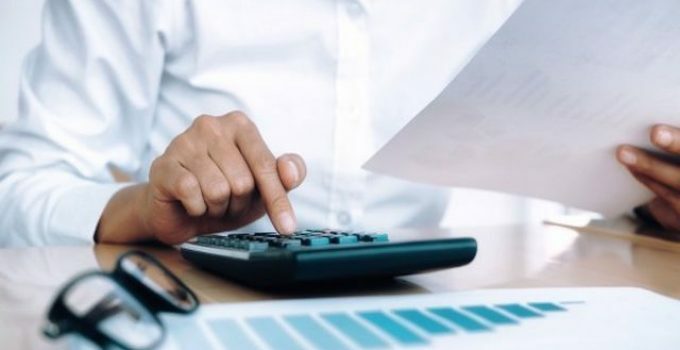 However, they are one of the most expensive ways to borrow money if you compare the interest rates with other types of lending, although the actual fees and interest will be smaller than many because the term is so small. Before you take out any loan it is worth considering whether you really need the money. You need to consider if there are any other ways that you can get the money without borrowing. All borrowing has a cost and so if you cannot afford that cost then you should not borrow the money. You should be able to calculate the cost or be told when you enquire about borrowing the money. Consider whether you would still have bought the item if it had cost that much, compared to its actual sale price. You should also consider the repayment. Will you be able to afford the repayment and will you be able to manage your money for the rest of the month once that repayment has come out. With a payday loan, you repay the whole amount that you borrowed plus the fees in one big chunk and that means that you have to know that you will have that lump sum available and will be able to manage until you are next paid once that chunk goes out. It is also worth considering your alternatives and seeing whether they are cheaper. For example, if you have any savings then use those as any interest you will lose is very likely to be less than the cost of a payday loan. Do calculate it to check though. If you have an overdraft facility it might be cheaper to use this. Some may be dearer though, particularly if they are unauthorised, so again you will need to check carefully. It may also be cheaper to use a credit card. It is harder to calculate the cost of using a credit card though because you can choose when you repay, so if you pay the interest only for a long time, the costs could really add up, but if you pay back the outstanding balance quickly it may be cheaper. It may even be possible for you to get an advance on your salary or to borrow from friends or family rather than having to pay these high costs. Remember that when you are comparing costs you should not compare the interest rates as this is not a fair comparison. 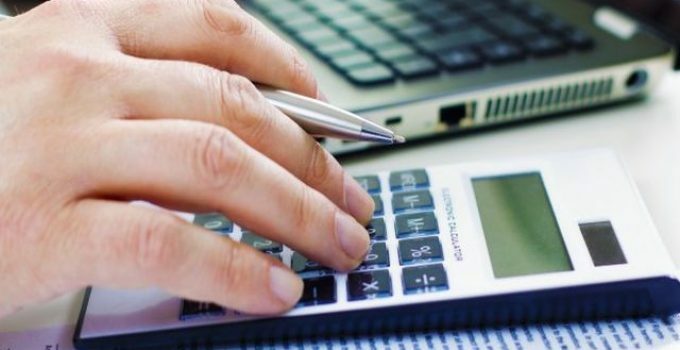 Calculate the actual cost of the loan in monetary terms and you will be able to see what you will be repaying in costs and that will allow you to know which is the best. Most loans will have fees as well as interest and how much you pay in interest will depend on how long it takes you to repay. If you do feel that a payday loan is the only option that you have then make sure that you compare all of the different types. You will want to make sure that you get the one that offers the best value for money. Even if you’re desperate for cash now. The cheapest will probably be the best but do look at any charges they have if you do not repay on time and see whether you can find any reviews about how flexible they are and how good their customer service is as these could be really useful to you. It can be really easy to panic and borrow money quickly, spend it and then regret it. It can be a big struggle to make repayments on any loan and so you should really think hard before you do this. Decide whether you really need the money, whether you can afford the repayments and whether there are any alternatives available for you. If there are no alternatives then it would be wise to compare different payday loans and see which looks to be the best one for you. Who do I ask to get the Right Mortgage? When you take out a mortgage you are making a really big decision. You need to think about whether it is the right mortgage for you as there are so many different types. It is easy to think that you will be able to do all the necessary research by yourself, but it is really useful to chat to people. You could find that you are tied into your mortgage for a considerable period of time and so you want to make sure that you get the right type at the right price. Some people will pay a financial advisor. They will be able to explain about all the different types of mortgage and how they all work. They have knowledge of all mortgages currently being offered so they would be able to fit your requirements to the mortgage that fits the best. They should be able to show you the cheapest one as well. This would save you having to do any research, but you would have to pay the advisor which you may not be able to afford and you may rather do the research yourself so that you feel sure that you really have the best that you want. If you know people will mortgages then it is wise to talk to them. Ask them about how they chose their mortgage and what factors helped them to decide on the one that they got. Ask them whether they would recommend their mortgage provider or whether they would tell you to avoid them. Also ask them about what type of mortgage they have, why they picked it and whether they thought it was the right choice for them. It may also be useful to speak to your bank about what they have on offer. As a customer they may be able to give you better rates, but they will also be keen to try to get you to take out their mortgage. They will probably try the hard sell on you, but try to ignore that and ask lots of questions. You could learn a lot, the sort of knowledge you would have to pay for from a financial advisor so it could be well worthwhile. You may also benefit from talking to other banks and building societies as well as they may have a slightly different take on things and they will also offer free information. It can be tempting to look online for information. This can be a good idea, but may also be a bad one. There is so much information that you need to know exactly where to look to find expert advice. Many bloggers and online writers know very little about what they are writing about and they may not even be form the country whose finances they are describing. Therefore make sure that what you are looking at is from a trusted source. It is also wise to make sure that the article is up to date as things do change and you want to make sure that you have the most up to date information that you can get. Looking in books can have the same problem as the Internet in that it can be out of date. However, you may find some which are reasonably up to date. It could be better to look in magazines but they are less likely to have the detail that you will need. So there are lots of places that you can find out information about mortgages and a lot of people that you can ask. It is good to ask a lot of people, but remember that mortgage holders only know about the mortgages they have tried so may not be the most useful to start with. Once you have an idea of the different types and know what you want to go with, then checking with friends and family can be a good idea. If you can afford it, it is probably best to go with a financial advisor who is an expert and would have all the information that you would need. You could very well find that it is well worth the money as you could save a significant amount by picking the cheapest mortgage that suits your needs. Purple Money Copyright © 2019.